The call to fight for Malaysia’s future is stronger than ever. Some have already drafted plans to flee to greener pastures, but thanks to those who do not have the means to or still have this unwavering (or illogical, according to some) faith in the country, BERSIH 4.0 is turning out to be one of the largest rallies in Malaysia. While some are rejoicing that this could be turning point that Malaysians need and others are actively rallying support from the fence-sitters, the turnout is worrying—not the number of people who will be there, but rather the type of people. 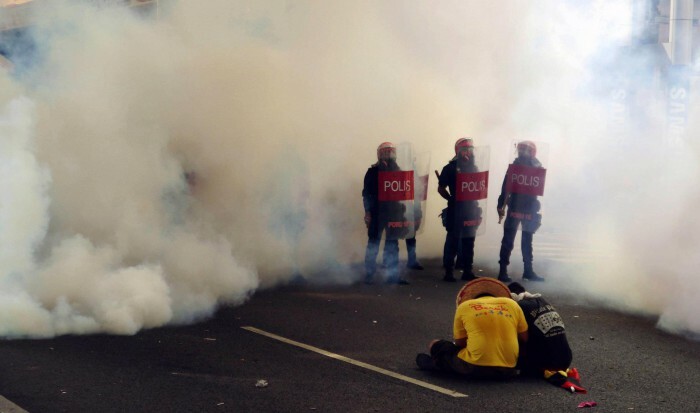 At the last BERSIH event in 2012, everyone who turned up emerged a hero, singing bards of standing up against the evil-doers who threw tear gas canisters at them. Social media users typed long essays about how they saw people of all races come together to share water and salt, and about shop keepers who provided shelter to people gasping for air amidst the smoke. On Instagram, Malaysians proudly shared selfies of themselves in yellow. While I’m not trying to be a sceptic on purpose, I do doubt the sincerity of the participants. Are they going to BERSIH 4.0 to fight for change, or has it become a fad that replaces a Taylor Swift concert (sorry, Swifties, for using her as a reference)? This is what I call the “typical religious phenomenon”. You know, when religious folk (not referring to any particular religion, I mean any group of people who gather for like-minded objectives) meet in large numbers, pat each other on the back, say a kind word or two for support, give high fives all around, and then go back to their respective lives like nothing impactful really happened. This is what happens when people go to such rallies to create a big hoo-ha without understanding first the purpose of it because all they want is to be caught up in the moment. The danger of having these kinds of people at BERSIH 4.0 is that these are exactly the ones who are more likely to stir sh*t up just to provoke the police to draw their weapons—that’s when the environment gets more “exciting” for them. Two days ago, Noor Rashid Ibrahim, the deputy inspector-general of police stated that protestors might be stunned with an electric charge if they riot, become violent, or resist arrest. This statement was retracted yesterday and the deputy IGP said that tasers will not be used during the BERSIH 4.0 rally, although authorities are equipped and trained to use them. Nevertheless, should the police decide to use tasers, the least we can do is not provoke them. It is supposed to be a peaceful rally, instigating a fight won’t make the participants any better than the authorities. Although participants go there prepared for the worst case scenario, they should not go there with the intention of creating it. Getting caught in all the action is a result of wanting change, but it isn’t the objective of the event itself. People could get seriously injured. Someone could lose their life. When there are irresponsible people in attendance looking to be “heroes”, it dilutes and taints the true purpose of having BERSIH and it does not encourage the youths of the nation to be mindful of their actions. Mindless youth will go to any rally, whether pro or anti-government ones, just to be part of the fuss. 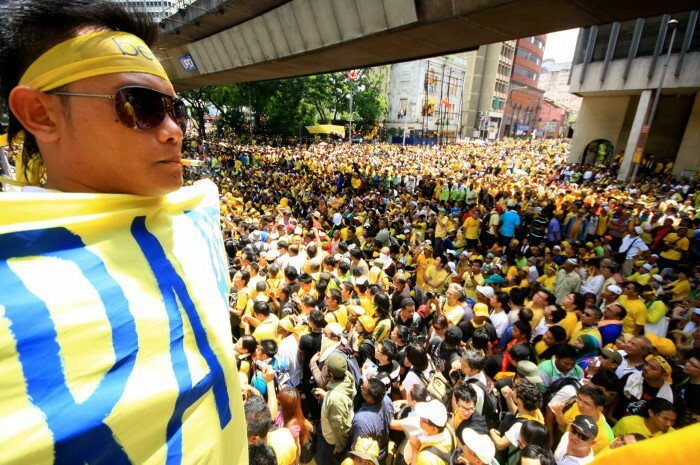 Is it really that big of an achievement if there are 100,000 people at BERSIH dressed in yellow, but only 40% of that turnout is there because all of their friends are going and they want to get a group photo? 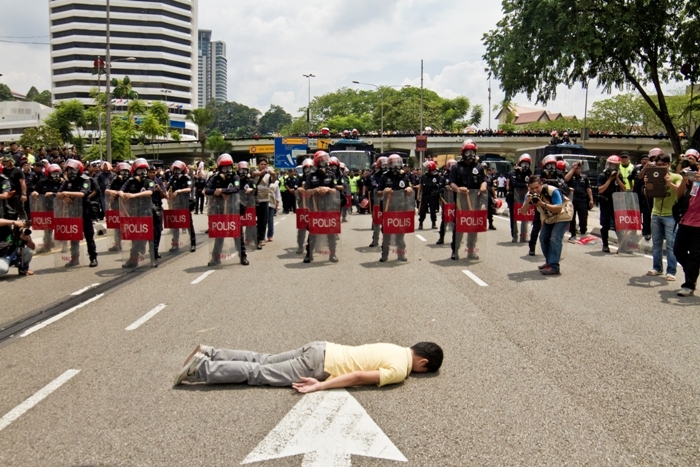 I want to be able to be at BERSIH, standing next to my fellow countrymen who are fighting for democracy and our rights, not with a bunch of hooligans trying to get their next Facebook profile picture. The experience should be genuine and meaningful, not something that is hyped up to be cool and ‘in’. 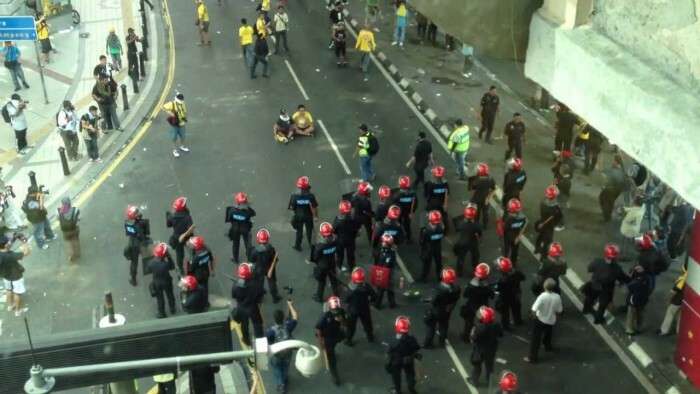 So ask yourself honestly before you put on your yellow t-shirt, why are you going to BERSIH?